The third cornerstone, is to have a good dose of adult company which involves emotional and at some point again, yes, sexual intimacy in your life! I admit, the first year as a single parent does not allow a lot of time for yourself alone - finding time to shower is even a challenge! and there is no room for dating or beginning a close adult relationship, when you are in the process of establishing a close caring relationship with your child. At times, in the first year it seems that all your 'adultness' gets channeled into two identities- 'Mother' and 'Breadwinner'. To strike a balance, it is important to get dressed up occassionally and go out dancing, or for dinner, so that the feeling of being desirable and attractive gets lit up in you in adult company. In the future, introducing dating or a prospective partner into your life and your child's life has its own set of considerations such as timing and appropriateness which I will discuss at another time. Right now I am talking about ways to enliven yourself and be appreciated as the wonderful multi-faceted adult that you are! A good place to begin is with the emotional recharging of yourself, meaning, finding a regular time each week- 2-3 hours- to do something relaxing and enjoyable separate from your child, while one of your trusted community takes care of your child. Just an hour can seem like a vacation at first and is essential to maintaining a healthy relationship with yourself and your child. Once in awhile, Take time to go out with close adult friends and talk about something other than parenting or work! Sit down, breath and eat, uninterrupted, a plate of delicious adult food which you did not prepare yourself and you do not have to share! Although, I have to say, on these occassions, I always end up taking something home to my child! - as well as a happy, relaxed mum. The second cornerstone is creating and maintaining a community or local family support. My clear decision to adopt came out of community. A 10 day silent meditation New Year retreat . This was a community of people guided by a teacher Toni Packer, who gathered every year at this time to sit together in silence with the same spiritual intention. At the end of the retreat, I joyously declared to a friend that I was going to be a mother and that I am adopting my daughter from China. My friend replied “that is wonderful” as if this sought of event happened every day! My daughter was born on the other side of the world about the same time I made the decision. Out of community has come an outpouring of support for my daughter and I over the years, for which we are both grateful. Opening up to community and support goes two ways and for some single adults this can mean getting out of your familiar comfort zone. It means opening up to giving and receiving generously. Once you decide to become a parent nothing can stay the same. (like your schedule. The uncertain time of adoption is really good practice for the real thing of parenting and living with a dependent little person). Finding your community is worth every moment of vulnerability and heart-felt connection. Our community has provided adult play-dates and sleep- overs; play-dates with friends for my daughter while I take time for myself and adult relationships; comraderie with other single parents with adopted Chinese daughters; gymnastic scholarships; meals when I am sick; emotional and spiritual support and laughter, definitely laughter. Every country from which you adopt has its own set of rules and regulations, and those rules and regulations are always changing. Politics and that country's relationship to America can also influence the flow of the adoption process at times. This can be some of the uncertainty of adopting from another country on occasion. I can certainly say from personal experience that if you do adopt from another country you will have a larger sense of what is happening in the rest of the world, not just America. The piece that is so interesting is that along with the frustration and delay of waiting for some parents there is also the reality that your family is now not only American but international and that will never change. 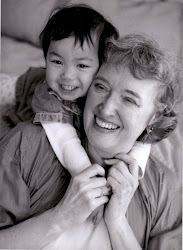 For instance, in 2001 I was able to adopt my daughter from China as an older (early 40s) single mother. Now in 2011, this is no longer possible, and even the age restrictions for American couples are very specific. My daughter and I have been touched and impacted by a short time in history in China when there was a one child per family rule and when single parent adoption was allowed. I am grateful that my daughter has close friends that are similarly impacted by this history so that as they grow older together they can integrate this experience into their lives and sense of Self in the world. Once the decision to adopt has been made and you have chosen to adopt internationally, then it is best to interview adoption agencies in your area who have adoption programs for the country from which you wish to adopt. Getting a referral for an agency from other parents who have adopted is really useful. It is also a good idea to ask the adoption agency about the liason agency in the other country and how their program is run in that country. A reputable liason agency or liason agent is key to having a smooth and well organized experience in the process of adopting from another country. Once you have made the decision to adopt, then the next step is to sort through a maze of information about how to adopt and the process towards adoption. The choices are numerous and it is important to know what you can handle as an individual, as a couple (if you are in a partnership) and as a parent to be. ie. Are you comfortable as an individual and as a parent with a son or daughter of a different race or ethnicity? Is domestic adoption or international adoption the best for you? Do you want to adopt a baby or would an older child be preferable? Have you considered adopting a child out of the fostercare system? Maybe private adoption? Open or closed adoption? It is useful to gather the information and then sort through it carefully to assess what the best route will be in forming your family. To help with this initial information gathering process and decision making process I find the organization Resolve http://www.resolve.org/. to be extremely helpful. It may also be a good time to join a group of other parents in this process or get support from a professional therapist with experience in adoption, to help keep you on track while sorting through the emotional , cognitive and spiritual feedback of your own heart and mind ( and relatives!). To begin the process of adoption very often comes out of something that has ended and now a new cycle/chapter begins. The path towards Adoption takes a focused intention and attention to detail. Individuals who are considering adoption often wonder if they can try to get pregnant at the same time they are filing the paperwork for adoption. I am often asked this question by couples or individuals wishing to become parents and have experienced difficulties in conceiving their own child. As it is possible to do both, I have found that the energy and money and focused attention involved in both these paths is all consuming. It is often best to treat both these experiences as two paths to achieve the same outcome. Setting a time limit on how long you will try to get pregnant is useful. If not successful, you can then, pause, grieve, and give all your full attention to the process of adopting your child. Both paths involve putting aside fear and a surrender to a larger sense of Life as we know it. Either way we do not know in what kind of physical body our child may arrive, but with full intention and attention he/she will arrive.